Can you believe that it is the last Sunday in August this year already? I say it every month, but where in the world did the month go? It has been a busy summer month over here and last week was a busy week of travel and work in Northern California. It involved the beach, the flower market, the wine country & the Sunset Idea House. A night in a Parisian hotel or maybe a favorite Inn in Capitola. before a busy week of work. which is a favorite of mine as well. and made a quick stop at the SF Flower Mart to load up on flowers for a couple of upcoming photo shoots. 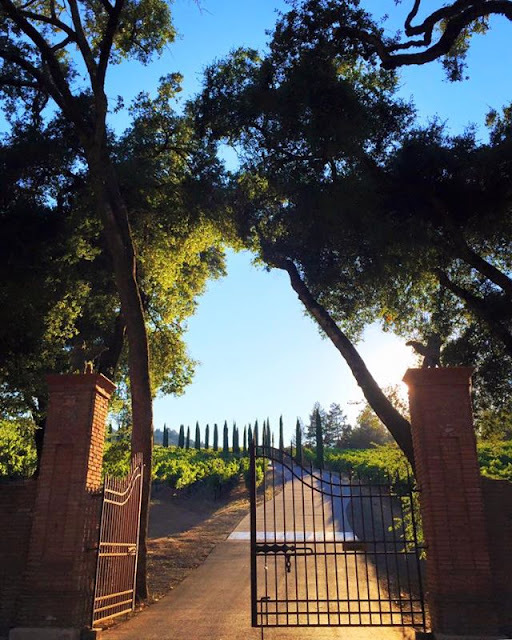 it was on to the wine country. is filled with beauty the entire way. for a tour of the Sunset Idea House with Lamps Plus. than flowers at the market. And I have to admit I wondered if I was feeling okay. in a part of the yard never shared in blogland before. cottage kitchen and bathroom while leveling the patio area. Kind of a fun discovery. I keep intending to paint my black bike something more fun. A pale green like the one here. Or pink. Or bright orange. This one is so cute! What a beautiful place to spend the weekend, but really, those flowers on that bicycle. That is one fantastic image that I am pinning this minute! Thank you for taking us on a beautiful weekend with you. 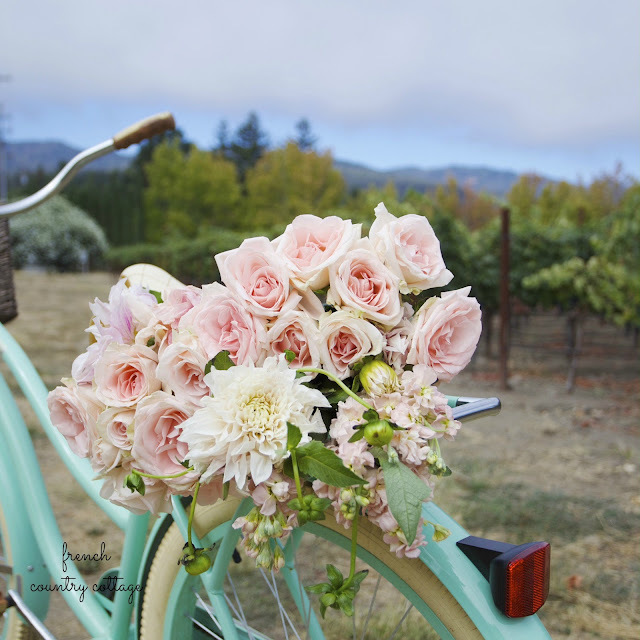 LOVE your bike and the pretty pink flowers! Can't wait to see the Sunset Idea House...and glad you had a stay in your favorite B&B...hope to make it there soon....Have a great and hopefully more restful week! I bought that exact little brass lamp from PB. But, it had been returned by someone and it was the last one so I got it for less than half off! Love a good bargain, right? And I just love it! Looks great in my office! You are a busy lady. Glad you got a little relaxation. I enjoy all your design and styling.